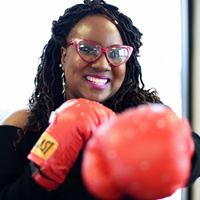 From the streets of Newark, New Jersey, having two incarcerated parents, to being featured on PBS’s Emmy award-winning show “Virginia Currents,” Quniana Futrell, known as “Author Q.,” is a real success story and champion for change. Quniana captivates audiences from all over the world, from the United States to Uganda, with her straightforward and realistic methods to resilience and healing. Northern Virginia Community College - Manassas Campus launched the What She Said: Women of Power Speaker Series to engage and inspire students and the surrounding community through transparent conversations with influential women leaders. Our goal is to create a space to share, learn and grow from the obstacles these influencers had to overcome to reach their goals. Speakers will include entrepreneurs, community leaders, executives and more. Email ryoung@nvcc.edu for any questions. If you are a student, faculty or staff member of Northern Virginia Community College, please log in with your myNOVA account.